Sumona Chakravarty’s practice explores the role of participatory art and design practices in creating spaces for civic engagement. Her work aims to find a balance between the incremental shifts catalysed by art and systemic changes created through social work. Chakravarty holds a Diploma in Art and Design from Srishti School of Art Design and Technology, Bangalore and an Masters Degree in social art and design from the Harvard University Graduate School of Design. Nilanjan Das graduated from Rabindra Bharati University with an MFA and BFA from the Graphics Department. A printmaker, he uses the reproductive possibility of print as a point of access to create a direct connection between people and art. He chooses objects and formats for his work that are common, popular, witty, interactive, communicative, and commercial, often manipulating their everyday usage. Varshita Khaitan graduated with a degree in Visual Communication from Srishti School of Art, Design and Technology, Bangalore. Varshita has been working as a graphic designer at The Free Agency and as a junior committee member at Dakshini Prayash, an NGO in Calcutta. She is interested in communicating community narratives through design. Manas Acharya is an inter-disciplinary visual artist and curator. He completed his Diploma in Fine Arts from the Indian Collage of Art, Kolkata (1996) and his Postgraduate Diploma from Kala Bhavana, Santiniketan (1999). His work spans various media and art practices, including drawing, painting, installation, video, performance art, documentary film, popular art and craft, design and collaborative art projects. He is engaged as a curator-coordinator of Studio 21, a multi disciplinary art space, that is a creative platform for the young artists of Kolkata. Srota Dutta completed her Post Graduation in 1999 from Visva-Bharati University, and then went to the University of Texas at Austin in USA for a year with Fulbright (F.L.T.A). Between 2005 and 2013, she has worked as journalist in Kolkata in a print media and various audio-visual media houses. She is presently copy editing a book on Leela Majumdar (a left leader and wife of Charu Majumdar) and simultaneously working on my independent research project on photography of prospective brides. During the several years that Ruchira Das homeschooled her two daughters, an engagement with the arts was an integral part of their lives. She believes that intense aesthetic experiences are absolutely imperative for any child to grow well -to grow to be a sensitive, imaginative, creative person. The desire to extend such experiences to children beyond her home was the genesis of ThinkArts. In just over two years, ThinkArts has reached more than 15000 children and young people across cities in India. They have worked in different spaces like schools, galleries, museums, and heritage spaces. 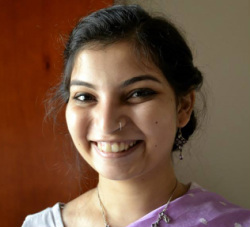 Ruchira is an ARThink South Asia Fellow 2015-16 & A Global Fellow at ISPA 2016. She was invited as a faculty member at INTERIM 2015 at Srishti College of Art, Bangalore, and has led several workshops on creating art engagements for young people. Dipyaman Kar is a sculptor by training, with degrees from Rabindra Bharati University, Kolkata and Cardiff Metropolitan University, Cardiff. He has participated in various projects initiated by Khoj international artists’ association and Khoj Kolkata, Project88, Viewing Room Art Gallery, and the Birla Academy of Art and Culture amongst others. He is a recipient of Charles Wallace Fellowship for higher studies in the UK and has the experience of working as an artist in residence in Switzerland. Presently he is living and working as a full time artist in Kolkata. WB. The recent works of the Kolkata based artist Suhasini Kejriwal take place inside the contemporary Indian urban sphere, excavating the economies and individuals that comprise it. Focusing now on what she calls a "literal looking out," she uses the scenes around her as a starting point to explore the psychological reactions that they incite in her and others. Her recent paintings, embroidered photo composites and sculptures commemorate the daily life of urban indians on the street. Kejriwal received her BFA from Parsons School of Design, New York in 1998, and she completed a Post Graduate Diploma in 1999 and earned an MFA degree in 2006 from Goldsmith's College in London. Kejriwal has exhibited extensively both in India and internationally with solo shows in Berlin, Mumbai, and Delhi as well as participated in multiple exhibitions in museums and galleries all over the world. 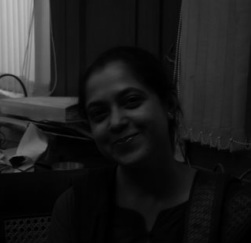 Anuradha Pathak is an installation artist and researcher with focusing on socially engaged art practice. She is a recipient of Pro Helvetia studio artist-in-residence grant award in 2010 and is a part of Centre for Arts and Social Practice (CASP), heading the centre’s Kolkata Chapter. She is also the editorial and administrative consultant at Regional Science Association, India and writes on art and culture for different art magazines. ​Her work and research deals with different aspects of sustainable thinking and development, including indigenous food and culture, urban design and its relation with sociopolitical processes, the psychological impact of the migrants/immigrant in an urban setup, and sustainable design practices at the intersection of science, art and engineering. 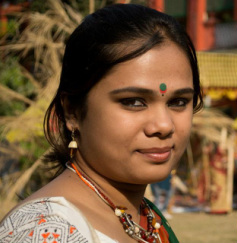 Purnaa Deb, a native of Kolkata, completed her post-graduation in printmaking from Rabindra Bharati University in 2012. She has taught art at schools in Mumbai and Ajmer, Rajasthan. She is currently continuing her printmaking practice, while exploring the language of social art as well as the daily conflicts that occur in rapidly modernizing metropolises. Julene Paul is a recent graduate in Social Studies, with a focus on Urban Development, from Harvard College. 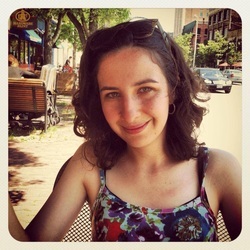 Her main interests include urban planning, public art, and building community through the use of public spaces. She is a native of Los Angeles, has worked in Argentina and Peru in transportation and development research, and is currently pursuing a Masters degree in Urban Planning from Rutgers University. Rajasee Ray is a visual communication designer, recently graduated from Srishti School of Art, Design and Technology. Her work involves the use of different media - writing, illustration, animation, sound, performance - to create effective storytelling and the use of storytelling to create effective design solutions. Avijna Bhattacharya has worked as an art writer for the last decade, as well as in curation and research roles. In her work, she often observes and documents changes in the art production process, influenced by shifts in social, economic and geo-political relationships both domestically and internationally. She holds a post-graduate degree in art criticism from the Faculty of Fine Arts, M.S. University, Baroda, and a BFA in the History of Art from Kala Bhavana, Visva Bharati University, Santiniketan.